Summary: Eight months after dropping out of Tarble, an all-women's college, Ruby Rousseau is still haunted by the memories of her senior year-a year marred by an affair with her English professor and a deep depression that not only caused her to question her own sanity but prompted a failed suicide attempt. And then a mysterious paisley print suitcase arrives, bearing Ruby's name and address on the tag. When Ruby tries to return the luggage to its rightful owner, Beth Richards, her dorm mate at Tarble, she learns that Beth disappeared two days earlier, and the suitcase is the only tangible evidence as to her whereabouts. Consumed by the mystery of the missing girl and the contents of the luggage-a tattered copy of Virginia Woolf's A Room of One's Own, the book on which Ruby based her senior thesis, and which she believes instigated her madness-she sets out to uncover the truth, not only about Beth Richards's past but also her own. 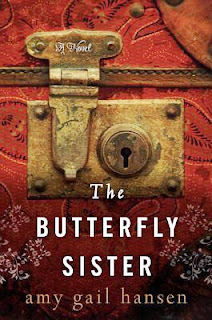 My thoughts: The Butterfly Sister by Amy Gail Hansen seemed intriguing from the summary, but it was kind of a let down. Ruby's character was too contrived, weak and it was hard to relate to her or the ridiculously overdone problems in her life. There wasn't enough characterization, the characters might as well have "Good!" and "Bad!" stamped on their foreheads. I wondered as I read the book, if any one could actually live such a cliche? Experience suggests, of course, that people are capable of being mindbogglingly naive, but the question remains: do I want to read about these people? I don't write much about books I don't particularly like. I could label it a chic-lit and be done with it. But The Butterfly Sister did have its goods, starting with that gorgeous cover. The literary references (Plath, Woolf, Sexton and other depressed, suicidal female writers and what made them so. Is the room of A Room of One's Own a metaphor for the mind or an actual room?) and the eerily gothic feel of the first half of the book kept me somewhat hooked. Even the most convoluted plot turns were well written and what the book lacked in plot execution, it made up for in the apt language. You'll find many better reviews on Goodreads, ones that might convince to you to give this debut a try, after all. It was just not the book for me. Ich habe schon auf diesem Blog gesagt, dass ich Deutsch als Fremdsprache lerne. Ich habe Rezensionen von deutschen Büchern geschrieben, aber niemals auf Deutsch. Zum ersten Mal versuche ich heute, auf Deutsch zu schreiben. Der Grund dafür: Language Freak Summer Challenge! Ich weiß, ich neige dazu, lange Sätze zu bilden und kann nur hoffen, dass ich dabei keine Fehler mache. Als ich die Tintenwelt-Trilogie gelesen habe, war ich von Funkes Schreibstil total begeistert. Damals las ich aber wenig Deutsch. Die war die erste deutsche Buchreihe, die ich gelesen und noch wichtiger, verstanden habe. 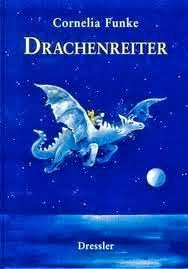 Drachenreiter war zwar auch eine fantasievolle Geschichte, aber das Buch war mir manchmal ein bisschen langweilig. Es war viel größer als ich erwartet habe. Ich habe es mir nicht vorgestellt, dass ich einen ganzen Monat bräuchte, das Buch zu Ende zu lesen. Die Handlung ist trotzdem schnell in Fahrt gekommen, was ich toll gefunden habe. Wenn ihr normalerweise Fantasy nicht lest, ist Drachenreiter perfekt für euch! Ich glaube, dieses Buch eignet sich am besten für Sprachlerner, weil es sich leicht und flüssig liest. Okay, I think, that's enough German for this blog. If you want German book recommendations, check out this site. I'm also halfway done with Hiob (Job) by Joseph Roth (who, by the way, is one of my favourite German language writers - he's Austrian.) It's a really good book, though I'm certain it's going to be November, by the time I finish it. Anyway: Spot any mistakes? Let me know. This is the story of Etsuko, a Japanese woman now living alone in England, dwelling on the recent suicide of her daughter. Retreating into the past, she finds herself reliving one particular hot summer in Nagasaki, when she and her friends struggled to rebuild their lives after the war. But then as she recalls her strange friendship with Sachiko -- a wealthy woman reduced to vagrancy -- the memories take on a disturbing cast. I had a rather precarious feeling, perched on the edge of that mountain looking out over such a view; a long way down below us, we could see the harbour looking like a dense piece of machinery left in the water. Across the harbour, on the opposite bank, rose the series of hills that led into Nagasaki. The land at the foot of the hills was busy with houses and buildings. Far over to our right, the harbour opened out on to the sea. I've grown oddly fond of Kazuo Ishiguro's detached, melancholy writing style with the occasional snippet of wisdom. But I'm just not sure if I like this book. Ishiguro writes a very specific type of story. A Pale View of Hills has a lot in common with An Artist of the Floating World, it has the narrator who tends to ramble about the past, the exotic setting, the tragic lives of the people post-war and the you-knew-this-was-coming-but-BAM-anyway ending. 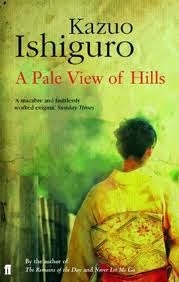 Being his debut, though, A Pale View of Hills isn't as refined as Ishiguro's other books. It's abrupt and though the author has relied on characterization for story-building, it is filled with clumsy dialogue. He seems to be trying hard to be unique, with the purposely incomplete title among other things. The good thing is that the story is very eerie. If you start reading it, do complete it despite all the absurdities; it is full of seemingly inconsequential details that all make sense at the end. 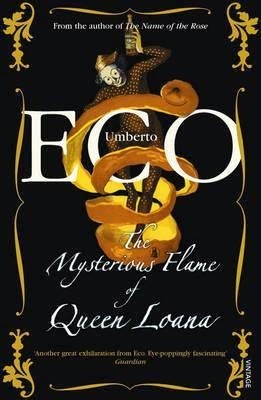 While I wasn't too impressed by the book, overall, there were parts that haunted me for hours after I finished reading. I'd recommend A Pale View of Hills only to a seasoned Ishiguro reader. Otherwise, it's best to try An Artist of the Floating World, or Never Let Me Go. Right now, where I am, summer could just be a dream in all the rain. But I do like the recommendations made in this post and can certainly vouch for one. Check out these books and of course, watch out for my review of Lay Death at Her Door by Elizabeth Buhmann! Thank you, Priya, for having me as a guest on Tabula Rasa! Since we’re heading into Dog Days, I’m thinking about great beach reads. I love books set in other countries, especially in the summer, when I am either traveling or wishing I could travel. I’m partial to mysteries (that’s what I write), so four of the five books on my list are detective stories. 1. Blessed are the Dead by Malla Nunn is set in South Africa in 1953, at the height of the Apartheid era. This is a dark, gritty and well plotted murder mystery in a fascinating geographic, social and political setting. It’s Malla Nunn’s third book in the Emmanuel Cooper detective series. I loved all three, and I’m just waiting to pounce on number four as soon as it comes out next year. 2. If you prefer light and delightful, the Saturday Big Tent Wedding Party is a wonderful read. It’s the twelfth book in the No. 1 Ladies Detective Agency series by Scottish author Alexander McCall Smith. The books are set in Gabarone, Botswana, and the main character is the wise and charming Precious Ramotswe. The BBC/HBO television series captures the books perfectly, by the way. 3. I just recently discovered Tana French when an Amazon reviewer compared her books to mine. In the Woods was great! Tana French is Irish and her mysteries are set in Dublin. Having been to Dublin, I enjoyed picturing the setting. The book is dark and psychologically brilliant. 4. I live in Texas, where August is a very hot month! So I often like to read books about cold places. What could sound colder than Iceland? I’ve enjoyed every one of Arnaldur Indridason’s Reykjavik detective stories. Voices was the first one I read, and it’s as good a place as any to start. 5. Last but not least, I’ll recommend a wonderful book that is NOT a murder mystery. It’s by one of Priya’s favorite Indian authors.The book is One Amazing Thing, by Chitra Divakaruni, and it is one amazing book. An earthquake traps a group of people in the basement of an airport, and to while away the hours waiting to be rescued, they tell stories from their lives. When the first character began her story, I literally got a chill down my spine. A bonus great beach read? Try my book! Lay Death at Her Door (Red Adept Publishing, May 2013) is a stand-alone mystery/suspense novel about an old murder that comes unsolved when the man who was convicted of it is exonerated. The story is told from the point of view of the woman on whose eyewitness testimony the prosecution was based. At the time, she was lying to protect herself and knew who the real killer was. 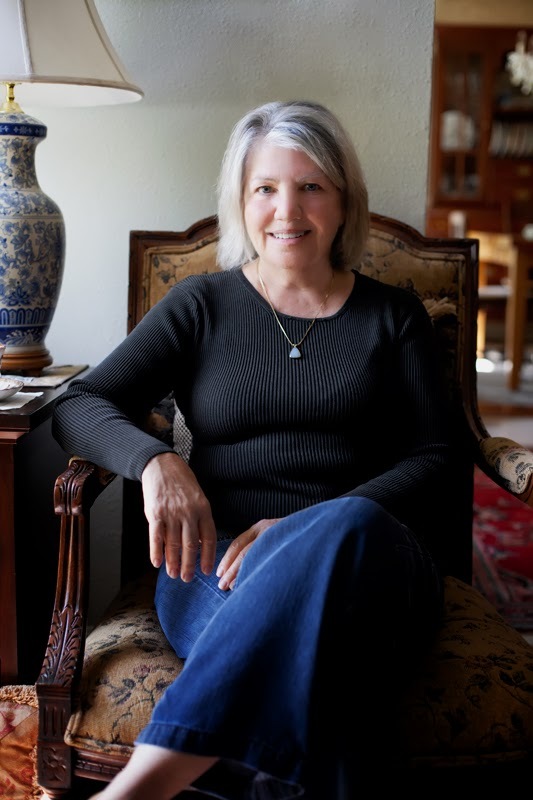 For twenty years, while an innocent man sat in prison, she lived with the knowledge that she committed perjury and was an accessory, however unwilling, to murder. When the book opens, her life is about to come apart at the seams. My whole problem with the crime-mystery-suspense genre has always been that it ends up being little more than a puzzle that is to be solves as quickly as possible. Rarely any books focus on the motives and psychological aspects and even fewer books talk extensively about the procedures involved in solving a crime. Anyone could get up and write a police procedural novel these days, throwing in just enough jargon, with the help of the hundred crime dramas on television. 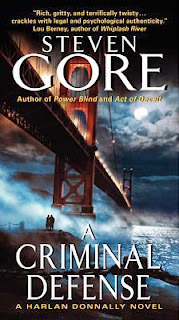 Steven Gore's A Criminal Defense, though, surprised me. Hamlin was a corrupt lawyer known hatefully for intimidating witnesses, suborning perjury, laundering money and destroying evidence. At the very start of the book, he is found murdered in the most gruesome way; it is hard to tell if he's a victim of murder or of a sexual encounter gone awry. Former detective Harlan Donnally is assigned to the case. As Donnally immerses himself into the mystery, he ponders over the what makes someone lead a career of such deceit. We are exposed to a world of intricate lies and betrayals and are shown the inner workings of, ironically, the justice system. Towards the end, the excitement increases and the final blowout and resolution, and how Donnally got there, are quite intriguing. As I said, the book is written by someone who knows what he's talking about, which comes as a pleasant surprise. That being said, the language, to my disappointment, became a bit too meticulously informative and dreary for a while. While the events of the book never lost their excitement, the writing had little beauty. The book could have used a little editing; there were moments when I thought, I didn't have to know that, I could have done without this; and the story would have worked just as well without some details. If this sounds like your kind of read, do buy the book here. Lula Landry, a famous model, has fallen to her death from her balcony. The constantly depressed, lonely addict is believed to have killed herself. London's glamorous world of fashion has already seemingly moved past the well publicized suicide, but Landry's brother isn't convinced. John Bristow tracks down the hero of the book, private detective Strike. Recently broken up with his fiance, Cormoran Strike is a hairy, slightly overweight 30-something ex-soldier, with a prosthetic leg, no place to live and a painfully stagnant career. With his new temp secretary, 25-year old Robin, Strike reluctantly accepts the case, more for the money to pay off his debts than anything else. And so the story dives straight into the typical world of celebrity: secrets, cover-ups and the omnipresent paparazzi. I rarely like mysteries, for the very reason that has been mentioned in this book: "(...) killings were more than puzzles to be solved." Most action packed crime novels lack both the human element as well as the touch of grounded reality that The Cuckoo's Calling had. As I read this book, I realized something that had never really occurred to me before. I don't love Harry Potter for the magic; it's hardly my favourite in the fantasy genre. I like it for the compelling characters, engaging narration and the warm humour. The Cuckoo's Calling offers all that, with an added dash of apt literary prose, a rare sight in run-of-the-mill detective fiction. All books have critics, often those who spew literary jargon with an annoying frequency and fluency. In case of this book, as in case of almost every other, I simply don't want to address them. Let me assure you, though, it wasn't just my unfaltering loyalty to J.K. Rowling that made me fall in love with this book. 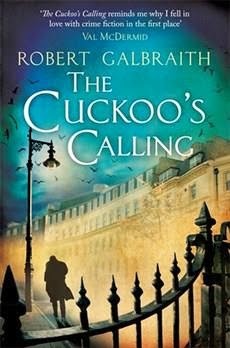 Plot: I liked the detailed descriptions of the method Cormoran followed for his research; the extensive Google searches and conversations with each suspect about the same things, repeated for our benefit, over and over. It seemed realistic, no violent action scenes or office romances, nor delightfully developed technological help. I loved that there were clues strewn all over the book, things you could tell were important. I loved how the pieces slowly fell together and I actually was able to guess who by the very end. I love how much time was given to the how and of course, the entire book was about why the murder was committed. Characters: It was interesting, how every interrogation revealed each character's unique voice, opinion and priorities. And most intriguingly, none of the characters were how they appeared to be. Stereotypes were broken in the most unexpected manners; like showing a surprisingly emotional side to Landry's obnoxious druggie boyfriend Evan Duffield. I liked designer Guy Some, almost as much as the running gag about his name (it's pronounced ghee.) I loved the clumsy, endearing relationship between Strike and his 'temporary solution' Robin. Rowling can create worlds, even ordinary ones, with such flourish, that even those who rarely come onstage have an effect on you: Matthew, Charlotte, Jonny Rokeby, to name a few. I liked Rachel, Raquelle or whatever her name was as one of the people who go unnoticed, who, despite the many snouted cameras pointed their way, stay hidden in the shadows, out of the limelight. And in a very Barry Fairbrother-esque way, the most complex character of the book was the one who never made an appearance; the black girl adopted into a white family, now famous, still searching for her true self, her roots: Lula Landry. Language: Rowling is good at one-liners, of the 'there's no need to call me sir, professor'-variety and this book was full of them. In the midst of all the serious drama, her skillfully funny dialogue made me chuckle. The writing is vivid, perceptive, rich. It cast a spell on me, that tugged at me and made it impossible for me to concentrate on anything else. I inserted scraps of papers (makeshift bookmarks) whenever any line, any thought appealed to me. By the time the book was over, it was filled with little pieces of paper, stuck in after almost every couple of pages. When I re-read them, the spell stayed unbroken and I do know every read will show me something new. An entire day later, today, I'm still unable to put the book back on the shelf. I want more. A middle-aged man returns to his childhood home for a funeral. When he visits the Hempstocks' farmhouse at the end of the lane and sits at the pond, the smudged memories of his childhood become clear and he knows that the pond is, in fact, an ocean; and he remembers Lettie Hempstock, the girl who promised to protect him to the very end. Memories of dark creatures and immortal women buried in his mind for forty years surface. The narrator recollects the nightmarish events that followed when a man committed suicide in his father's car. We see a scary, strange world on the brink of reality through the eyes of a helpless little boy. This wasn't like American Gods, which in all honesty, isn't my favourite book by Gaiman. 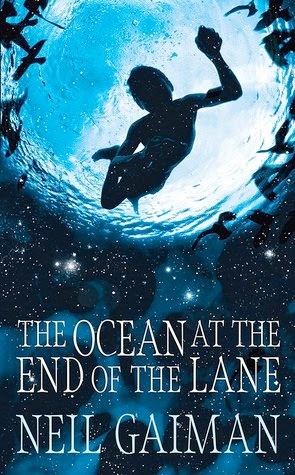 The Ocean at the End of the Lane is like Coraline; simple, haunting, eerily charming, something which lingers on your mind long after you're done with it. It's about childhood, the horrors of growing up. The writing is vivid, like The Graveyard Book; but this is not a book for children, it's mature and bitingly honest. And despite the absurd and the dark, it is still somehow happy. And brilliant. Is that enough of a review? Because the fact is, I haven't been able to come up with much else in the entire week that this post has been sitting in my drafts, collecting virtual dust. What else could I say? It's a tiny story with an immense scope. Read it. Read the reviews of Episode 1 and Episode 2. Trust me when I tell you, this is one series you don't want to miss. Following the events of Episode 2, the team is now back in LA, where all hell has broken loose, with the infection now being air-borne. On their way to safety, they have some close calls with the mob of people driven mad by the disease, and learn, the hard way, that there's nothing they can do to help them. Will they find a cure, one they can use not just throughout the country, but worldwide? The author is no amateur when it comes to shocking the readers. Episode 3 takes the combination of science fiction and horror to a whole new level. Bear in mind, this is not a book for the squeamish, faint-at-the-sight-of-blood type of people. It's horrifying, vividly gory, ruthless. That means, of course, that the book is full of action and is rather amazing. 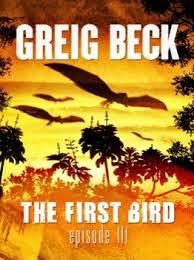 This book focuses less on the characters, whom we know quite well by now and more on the plot, the final fight against the infection that has turned almost the whole population into savages. The author has taken a stereotype of the genre and turned it into a spectacularly original tale. The research involved is impressive and is ensures that the book stands out among the numerous science fiction stories written today. Episode 3 is available here. The Omnibus edition is also out. Buy the books, they're worth it. It took me a very long time to complete this book. I wish it hadn't. I wished I'd just left it now and continued or restarted somewhere in the indefinite future. Maybe then I would have appreciate the stunning ending, despite the terribly rocky start. I borrowed it from the library and read it, specifically for The Historical Fiction Challenge. Summary: The book starts mysteriously, with a man waking from a coma quoting literary character. "What's you name?" the doctor asks and Yambo, a rare book-dealer solemnly answers, "My name is Arthur Gordon Pym", followed quickly by a puzzled, "Call me... Ishmael?" Yambo suffers from a strange type of memory loss, in that he remembers every book he has ever read (and he has read many) but could tell you nothing about his family, his wife and daughters, his parents and himself. Yambo determinedly sets off to his childhood home, somewhere in the hills between Milan and Turin, to retrieve his memories; using what he knows best, all the evidences of history: books, prints, songs, poetry. As it turns out, his grandfather is quite the collector. Let us hop over to the Goodreads summary: "There, in the sprawling attic, he searches through boxes of old newspapers, comics, records, photo albums, and adolescent diaries. And so Yambo relives the story of his generation: Mussolini, Catholic education and guilt, Josephine Baker, Flash Gordon, Fred Astaire. His memories run wild, and the life racing before his eyes takes the form of a graphic novel. Yambo struggles through the frames to capture one simple, innocent image: that of his first love." My thoughts: The concept, you have to agree, is amazing. It is a bit unstructured, why Yambo remembers what he remembers is a framework that could easily crumble. But the idea of books, newspapers, old photos and journals reviving your past is fantastically arguable and makes you ponder over the strangeness of memory and association. I am a complete pack-rat and I could still tell you with little certainty what emotions anything in my room would evoke if I lost my memory. Could you imagine that? Trying to remember your past by the objects that you lined it with. I certainly can't, I'm not me because of those things, and for that; the book and its ending were satisfying. However, every ten pages, amazing alternated with horrible. I liked understanding the German poems, deciphering the Italian songs and gazing at the comical old ads and prints. I loved the rich descriptions of feelings and places and memory and fogs in the mind. Eco can really write, paint pictures that could only be described as glorious. However, the journey, the rummaging through old belongings lost its flavour after the first forty belongings. The plot was unruly, it utterly lacked design, was mindbogglingly slow paced and it took me a lot of patience to trudge through to the end. The book hardly moved forward for long patches of time and though Yambo's thoughts about his condition and about the idea of his past were intriguing, engaging; I soon only wished he'd find something, already! The ending was perfect, but I was already too tired to appreciate it. The moment I finished reading the last line, I was glad that it was over; and what does that say about a book? I still do want to read Baudolino, though. Umberto Eco is an undoubtedly great writer. I'm in love with my new bookshelf and have already tried two looks on it. 1. According to size and boredom. The books in the lowest shelf are huge hardbacks that won't fit well in the middle. After arranging the bottom two shelves, I was just too tired to try anything else and shoved them right in, proceeding happily to take a picture and just be generally delighted in the spontaneous appearance of a bookshelf in my living room. 2. According to size and colour. How do you organize your shelf: according to author, publication, genre?